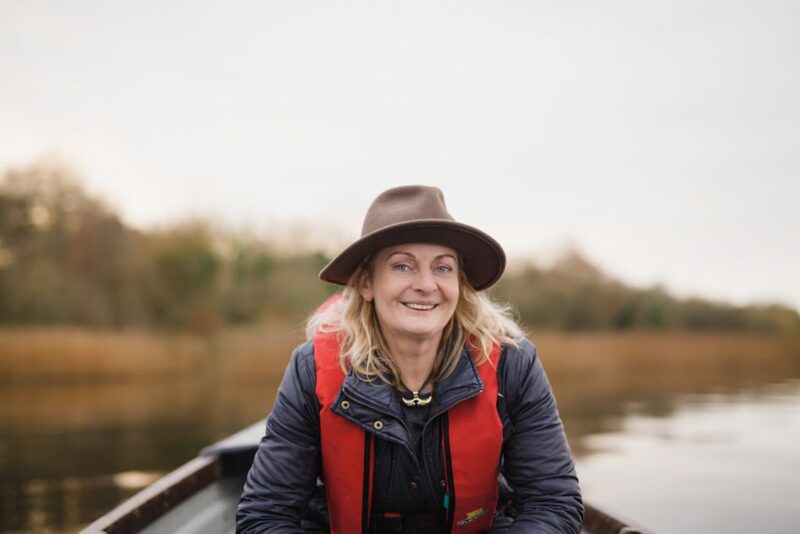 For Tipperary woman, Ailbhe Gerrard, sustainable farming is about managing different projects. These include: forestry thinning; silage making; dry stone walling; hive keeping; candle making; and teaching. “I have different contractors for different tasks, or do them myself,” Gerrard said. She is used to overseeing teams of workers as she previously worked as a project manager on Dublin building sites. 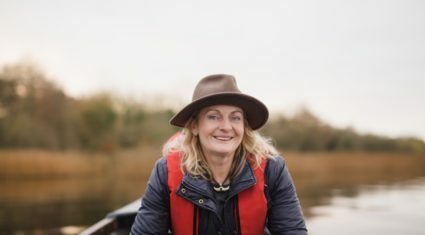 Gerrard went on to swap her hard hat and high-vis jacket for rain gear and wellies after buying Brookfield Farm in September 2010, on the scenic shores of Lough Derg. Leaving city life wasn’t difficult as she was one of seven who grew up on a farm outside Thurles. “My dad was brought up on a small holding. My parents bought a 25ac cattle and horse farm in the 1970s, but it had to be sold,” she said. I’m from a family of seven children and we all worked in the vegetable garden, turned hay by hand and looked after the hens and the equines. After the property crash, Gerrard studied sustainable development in London. She decided to bring the sustainable ethos to food and farming. On top of the 65ac farm, she has purchased a further 8ac, and she also rents a couple of acres from her father, bringing the total to 75ac. Broadleaf forestry accounts for 25ac; crops – conventional winter barley – for a further 25ac; and organic lamb and agri environment, incorporating wild bird cover, another 25ac. “I made lots of changes to the farm, which had been rented out as a tillage farm long-term,” she said. Gerrard specialises in Texel cross sheep and is just starting a breedingflock. The lamb is delivered directly to customers as a half or whole lamb from the butcher and is usually cut to customer specification. With bio diversity a key consideration for Gerrard, beehives are an important part of the farm. She sells shares in the beehive through an innovative concept known as ‘hiveshare’. A full share of a hive on the farm – the ‘Queen Bee’ hiveshare – costs €430. The shares are presented in a gift box, with jars of raw honey. Shareholders are invited to an annual honey-themed celebration on the farm and receive their share of the honey. ‘Hiveshare’ has really taken off, with 120 customers currently – the maximum she can take on. Beeswax candles and lip balm are also sold by the enterprising Tipperary woman who has an MBA and business experience. Life as a female farmer in this traditional agriculture area, which has a mix of dairy, tillage and sheep, is good. Other farmers have been supportive. I don’t feel it’s a particular challenge being female. 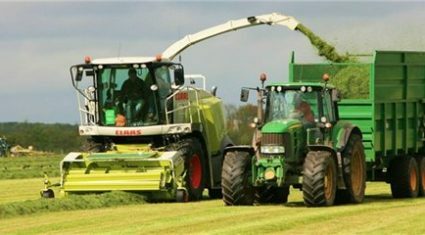 All farmers contract out various jobs they don’t have the capacity for and so do I.